An encore tribute to Maestro Pressler caught my eye on FB’s Art of Piano Pedagogy forum. Deborah Rambo Sinn, a fine musician and teacher in her own right posted “My violinist’s interview” with the octogenarian plus ten. It was the perfect supplement to a 2012 blog that I’d dedicated to Menahem that resonates into the present. Snips of folkore surround this elder statesman of the piano, but aside from occasional slights about his teaching etiquette and temperament, I’ve always adored Menahem Pressler’s artistry. Pressler insists that we must be “in love” with a composition we are studying or performing–to own a passion for the composer’s creation and do our utmost to realize the style, emotion, affect and nuance that was intended. By example, the pianist shows us the way. 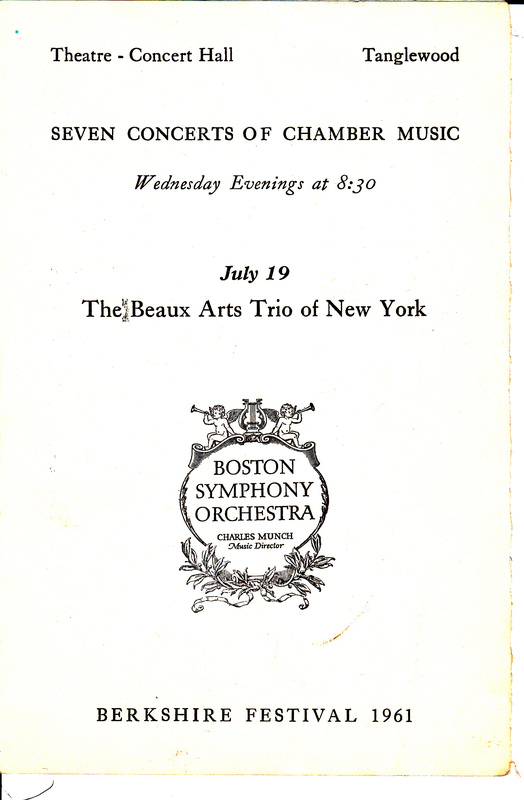 On one special Wednesday in 1961, Menahem Pressler’s Trio that included Bernard Greenhouse, cello and Daniel Guilet, violin, played a program of Beethoven, Chausson, and Schubert.